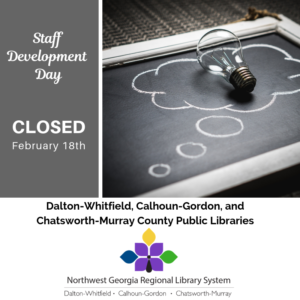 <!-- mp_trans_add --> We will be closed for Staff Development on February 18th. We’re grateful for your patience as we work to ensure our communities receive the best possible service! No materials will be due while we are closed. Our drop boxes and downloadable items will still be available.